Enter an epic battle for possession of all sixty-seven regions of Etheria. 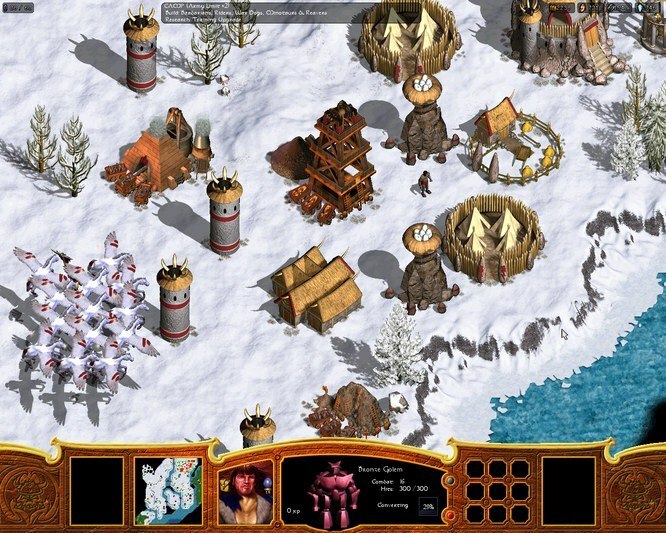 From your home citadel, you expand to conquer neighboring regions, occupy enemy citadels, and take control of their forces. You will ultimately engage in duels to the death with other heroes, and even quell uprisings by your vanquished foes. As your treasury grows, merchants offer special items for sale, mercenaries offer to join you in battle, and followers flock to your banner. 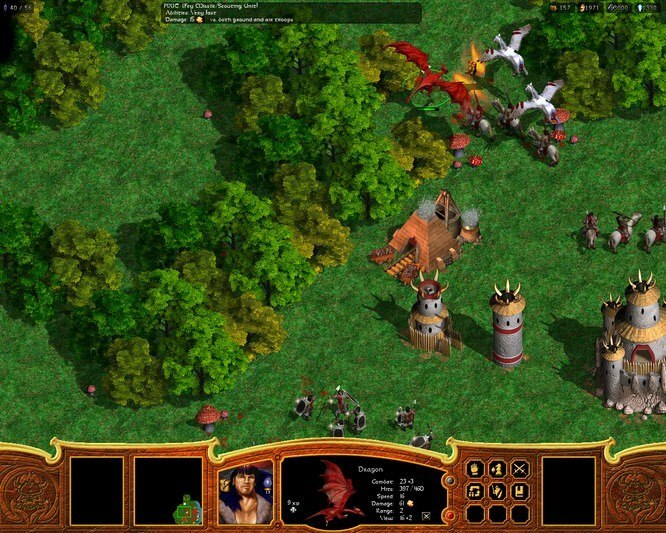 Experience a unique combination of role-playing heroes and real-time strategy game play. 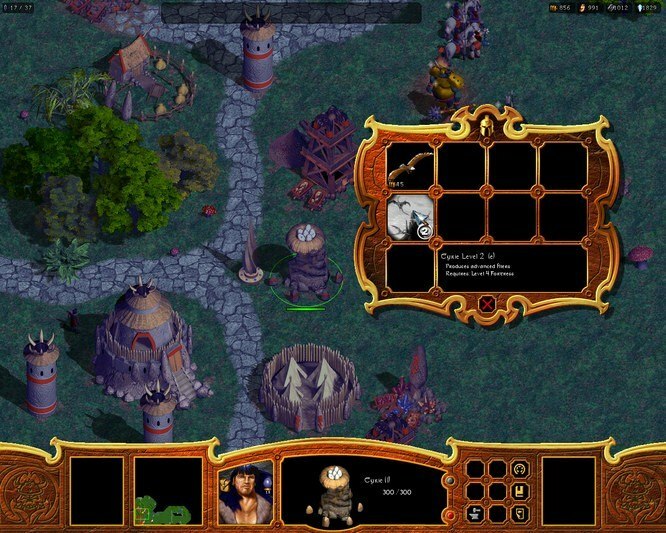 Build Hero warriors in the fantasy world of Etheria and develop them into unique classes such as Death Knight, Assassin, or Ice Mage. 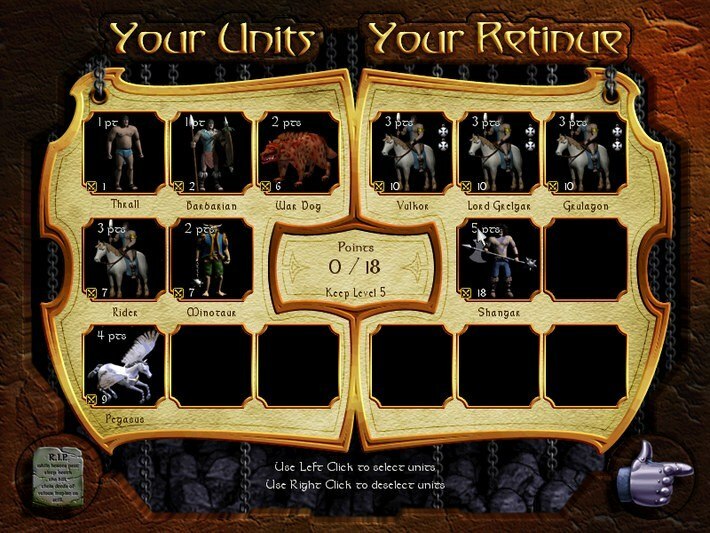 Your hero and his retinue are carried forward from battle to battle, growing stronger and more powerful. Answer the call of Warlords Battlecry II!